WARNING – MINOR SPOILERS AHEAD. You may want to return when you’ve seen the movie, if you’re avoiding spoilers! If you have seen the film, remember: PROTECT THE SECRETS. 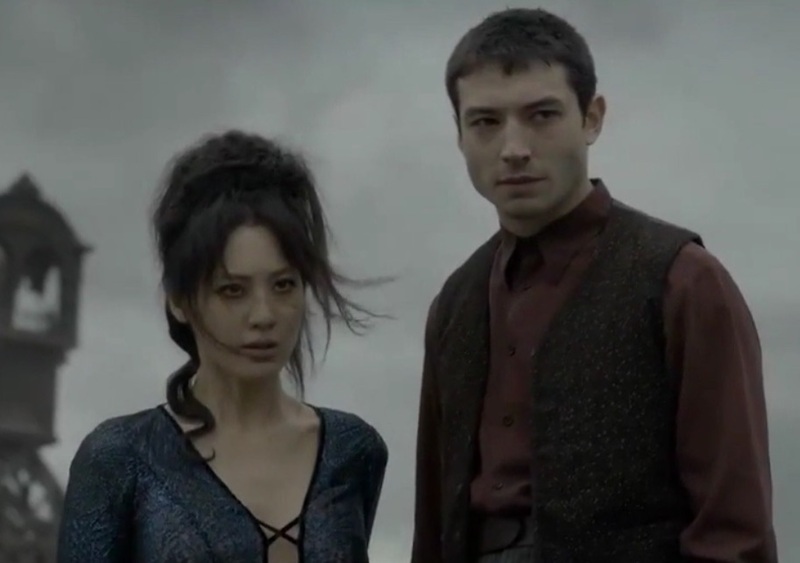 He and Claudia Kim were about to discuss the ins-and-outs of Credence’s return to the fray in Fantastic Beasts: The Crimes Of Grindelwald (after many thought him dead) and the huge reveal that Claudia would actually be portraying Nagini, who is much more than ‘just a snake’! Ezra: “Well because, I, long ago, came unstuck in time, I have this tralfamadorian view. I don’t even know. 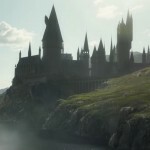 I already know how it ends and everything and so I can’t even pretend to speculate, cause it’s just unfair, it’s Dumbledore-like omnipotence… F*** – that is a joke! Yeah, for me, everything that excited me so much going into the first film and everything that I found so engaging and wonderful about working on that first project was quadrupled and massively amplified on this one. Ezra: “Oh my gosh, yeah it’s immense and immersive. The biggest CGI thing that happens to Credence on set is that arena scene you see towards the end of the film — the underground amphitheatre. The only CGI that creates a set in that way really is that we shot as one half of itself with two different groups of people, and then it was fused together to make that circular amphitheatre. Fantastic Beasts: The Crimes of Grindelwald is officially released TODAY, November 16th! Check our interviews with David Heyman and Callum Turner, Eddie Redmayne and Katherine Waterston, and Alison Sudol and Dan Fogler, and be sure to let us know what you thought of the film! Remember to #ProtectTheSecrets! Read more about Ezra’s thoughts on Credence in our interviews with him on set, here.